When you own a life insurance policy with accumulated cash value, you are essentially sitting on a pile of money. 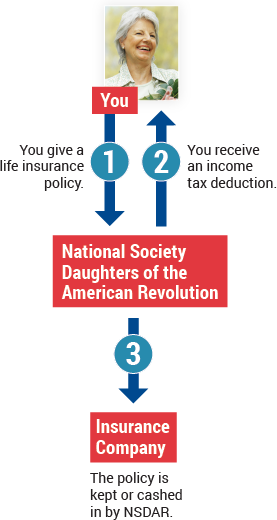 When the original purpose for the protection no longer applies—such as to educate children now grown or to provide financial security for a spouse now deceased—your life insurance can be redirected to help support National Society Daughters of the American Revolution. 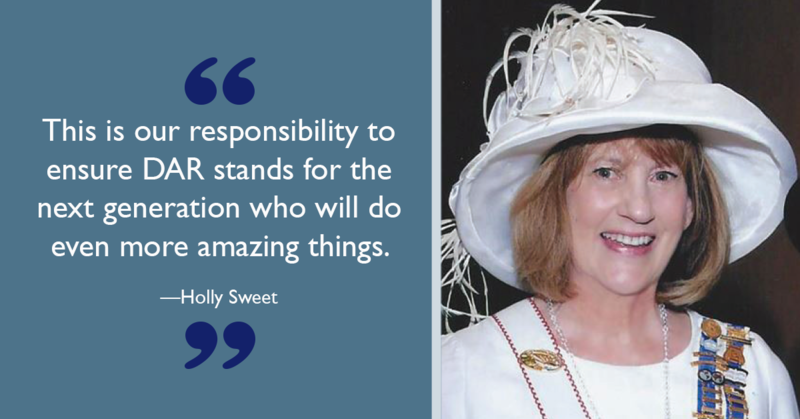 One option is to name NSDAR as the beneficiary and assign us ownership of the policy as a charitable gift. Another option is to name NSDAR as primary beneficiary while you retain ownership of the policy; however, this does not qualify you for an income tax deduction. You receive an income tax charitable deduction, when you itemize. If you are concerned that supporting our work will reduce your family's inheritance, a new life insurance policy equal to your charitable gift can replace the value of your loved ones' inheritance. Perhaps you do not own an existing policy but still realize how beneficial giving life insurance can be. If so, you can—in most states—purchase a new insurance policy and name the NSDAR as the beneficiary and owner of the policy. Rather than paying premiums to the insurance company, you make tax-deductible cash gifts to cover the annual premiums. Even greater leverage is possible when two donors, usually spouses, purchase a two-life, second-to-die policy. With two lifetimes before the payment of death benefits, a future gift to us will cost you even less. Contact the Office of Development at (800) 449-1776 or giftplanning@dar.org with any questions about naming NSDAR beneficiary of your life insurance policy. We are happy to help, without obligation.